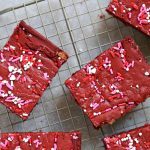 You’ll have a hard time not licking the batter off the spoon when you make this Semi-Homemade Red Velvet Cake Bars recipe! There’s nothing more Southern as far as desserts go than red velvet cake. Even those that swear they don’t like regular vanilla or chocolate cakes can be fooled by the lure of all things red velvet. Truth be told, red velvet is usually a white cake with lots of food coloring or a chocolate cake with (you guessed it) lots of food coloring. 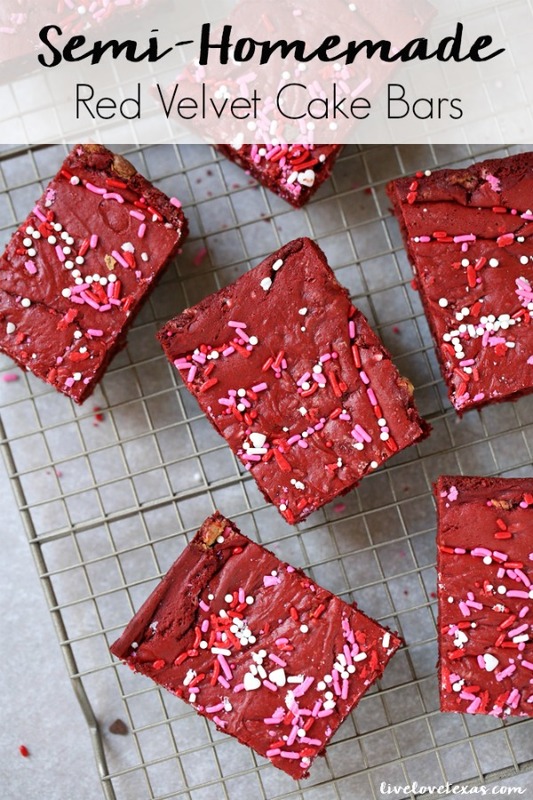 While cakes are usually reserved for special occasions, these semi-homemade red velvet cake bars can be enjoyed any time. Y’all know I don’t like spending any more time than necessary doing anything from cleaning to cooking to organizing. So you better believe that when there’s a legitimate shortcut in a recipe that not only works but tastes great, I’m all in. When you make something individually portioned and top it with sprinkles it’s automatically less formal and ready for dessert any day of the week! 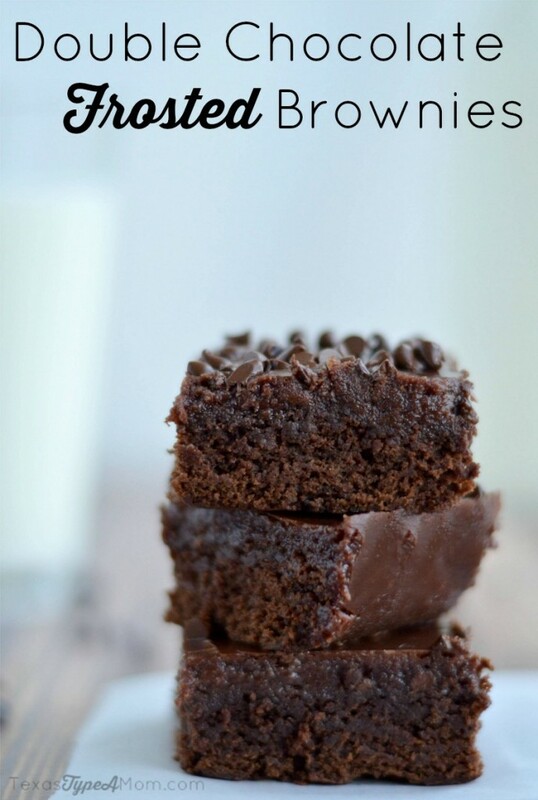 To make, mix cake powder, egg, milk, and oil in a bowl. If mixture ends up super thick, slowly add more milk in until it is a little softer. Line a brownie pan with parchment paper, and spray with nonstick. Pour half of mix in the pan, spreading evenly out into the corners. Sprinkle with a full layer of white chocolate chips. Top with rest of cake mix, add on sprinkles, and bake at 350 degrees for around 25 minutes. When fully cooked, take out to cool, remove parchment paper from pan, and cut into squares. 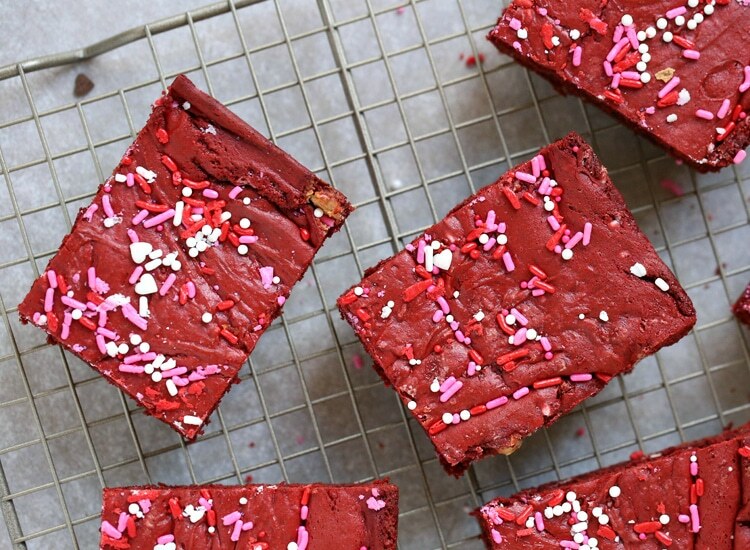 Have you ever made Semi-Homemade Red Velvet Cake Bars recipe before? If you have, share your tips with me on Facebook! 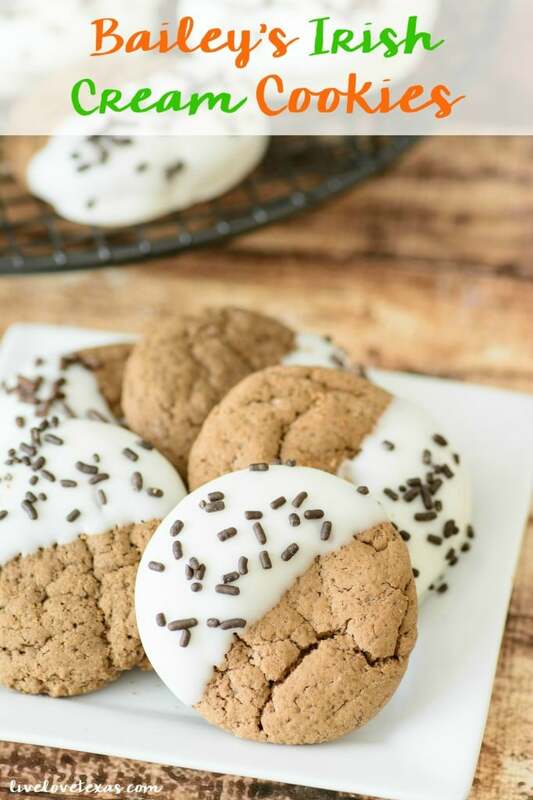 For more semi-homemade dessert recipes, check out my other dessert recipes below! 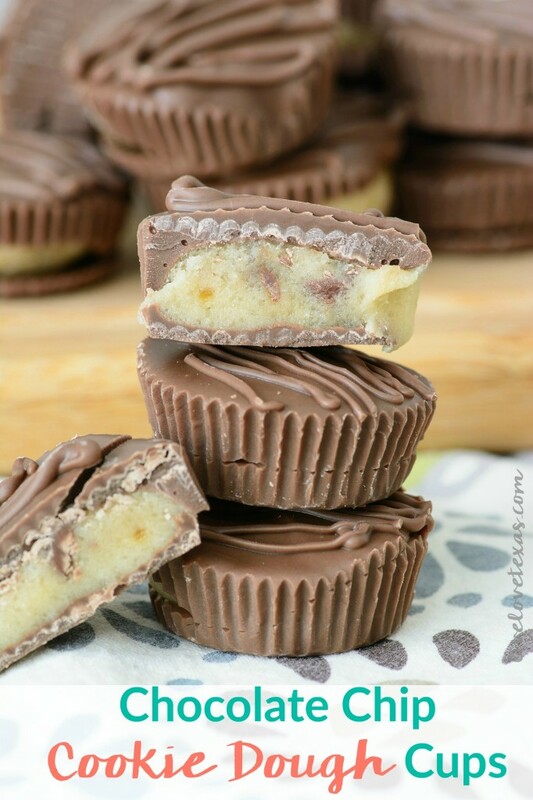 For more simple dessert recipes, make sure to follow my dessert recipes board board on Pinterest.